Credit cards are very popular because they give access to quick money. People go on spending sprees without considering that every shilling they spend will have to be paid back in full, plus interest. The result is that some people get into heavy credit card debts that they are unable to pay back leading to poor credit scores, which could negatively affect their ability to borrow money from lenders in the future. It is therefore very important to know how to use your credit card, but the best way is to totally avoid using it. 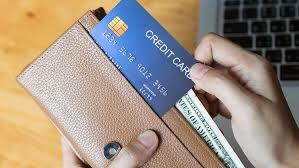 You should also know that there are additional costs that come with credit card use. So how can you avoid credit card to pitfalls? Most people turn to their credit cards when an emergency arises. Put aside something every time in savings so that when an emergency arises you can deal with it without having to use your credit card. Do not buy what you cannot afford. Credit cards allow you to buy things that you cannot afford because you are not paying for them with your own money at that particular. This is one mistake you should avoid. If you cannot afford to pay for the item you are buying from your own pocket then you’re better off without it. Do not miss out on your payments. Missing out on credit card payments is a bad idea. You will pay penalties for late fees and it will reflect poorly on your credit scores. Schedule the payments for the same time every month so that you do not forget to make them. Do not use your credit cards to get cash. This is because you will pay interest on the amount you have taken thus making you get into debt. Having an emergency fund will bail you out when you need quick cash. Try and put aside an amount every month so that you have cash reserves which can bail you out when an emergency occurs. Many people get into credit card debt because they are unable to limit their spending. The credit cards become their first avenue anytime they need money even for daily needs like food and clothing. Other signs that you are getting into debt is if you transfer balances between credit cards to avoid making payments, you skip making payments so that you can handle other expenses, you studiously ignore credit card statements just to name a few. If you do not spend your money wisely, you will find yourself in a lot of trouble because you are always looking for quick way-out. 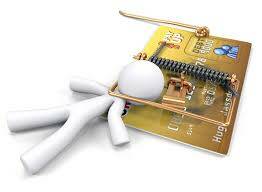 Credit cards should not become that quick way out when resolving your financial issues. If you acknowledge that you may have an issue with how you spend the money, you need to take a step back and evaluate what you have been doing and why it has not been working for you. You should also think about getting rid of your credit cards and living within your means. Only buy what you can afford and avoid taking loans or cash advances because you will end up paying interest which can be very expensive.